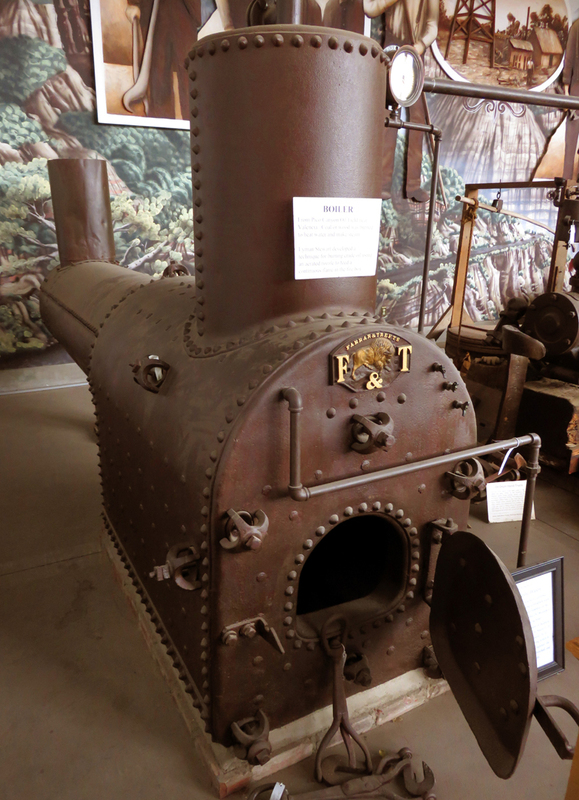 SCVHistory.com | California Oil Museum | Farrar & Trefts Boiler from Pico Canyon. 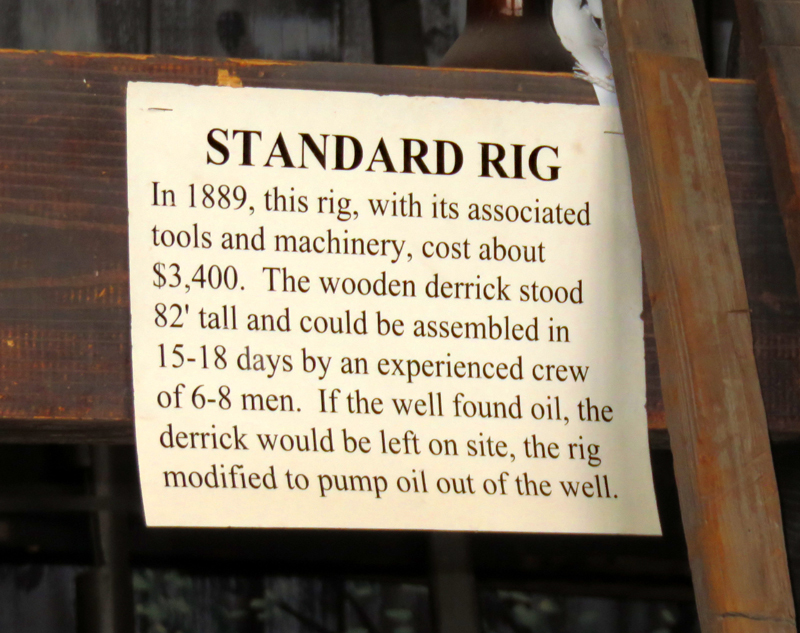 March 1, 2015 — A 15hp Farrar & Trefts boiler from the Pico oil field is used in the 1890s drilling rig at the California Oil Museum in Santa Paula. 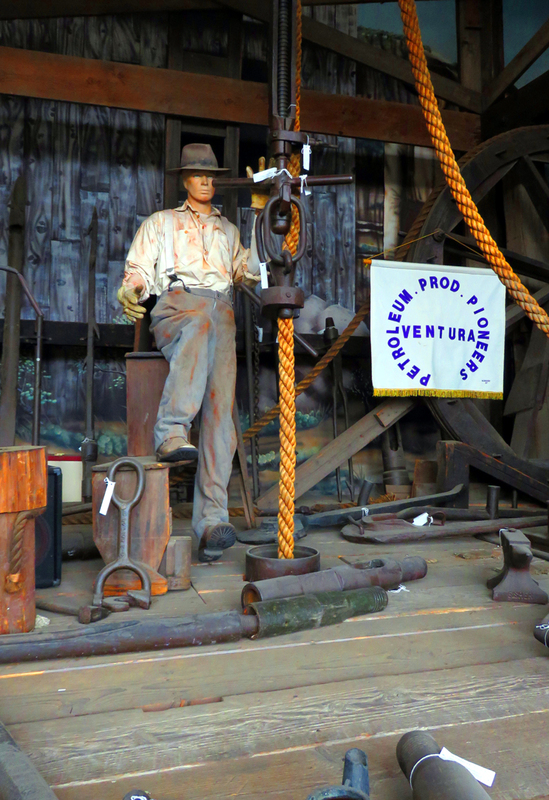 According to the museum, the rig was cobbled together from parts found in the Pico and Ventura County oil fields in the 1940s. 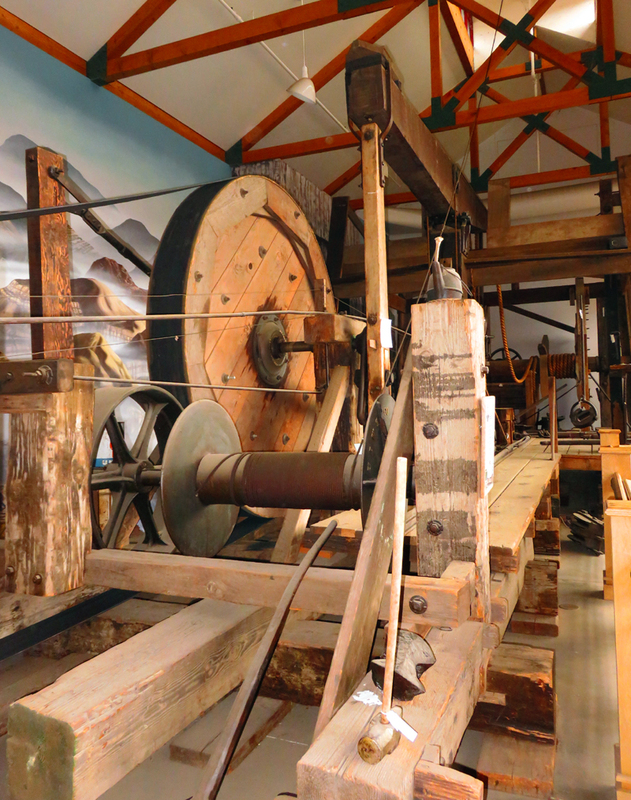 The demonstration rig, housed in its own building at the museum, shows how steam from the boiler would power a 15hp Farrar & Trefts engine, which turned the wheel that drove the walking beam that raised and lowered the cable tool. 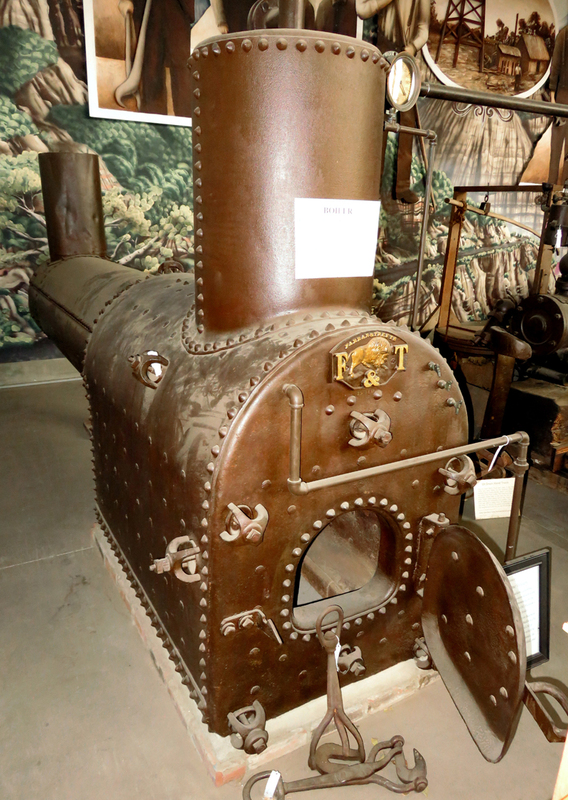 A born salesman, McPherson had left Pennsylvania in 1873 after more than a decade in the oil fields and had come to California as an agent for Farrar & Trefts of Buffalo, New York, who were well-known manufacturers of steam engines and boilers. 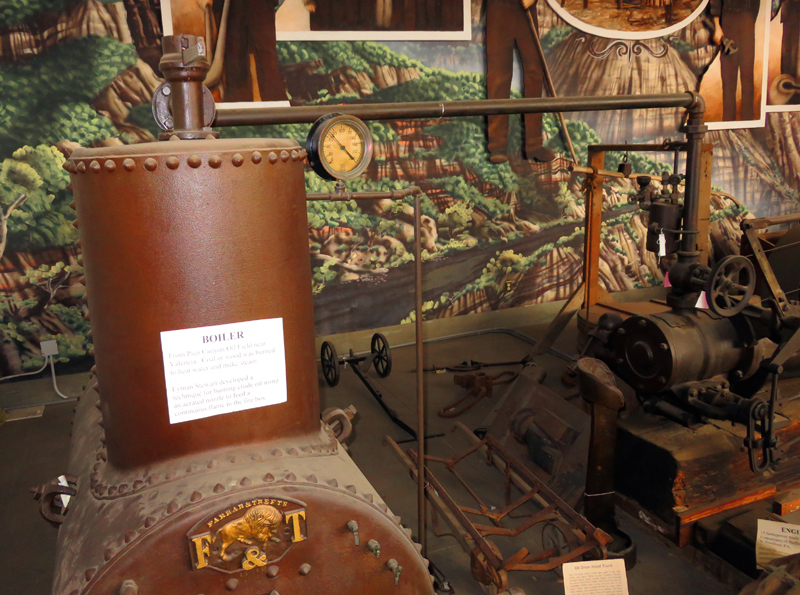 When he visited the Star Oil Works in the San Fernando [sic: Pico Canyon area] in June 1875, he may have been seeking to sell one of his engines, but it is obvious that he came away impressed by the prospects of the region. 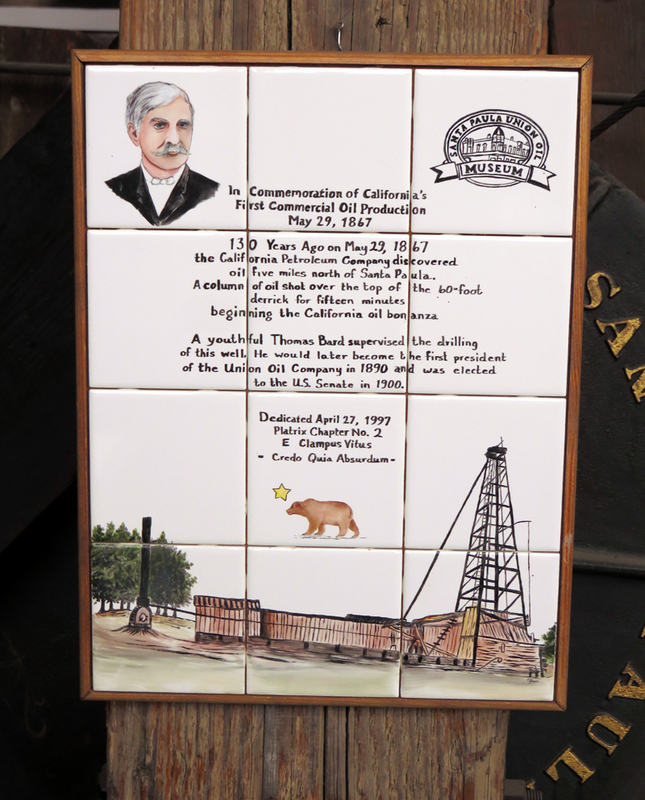 Returning to San Francisco, McPherson drummed up support for an oil venture and traveled East in the autumn to purchase up-to-date drilling equipment and to develop some 200 acres in mining claims he had acquired in and around Pico Canyon. These claims he deeded to the San Francisco Petroleum Company, which he organized in mid-December in association with Robert C. Page, a prominent stockbroker, and several other San Francisco capitalists. 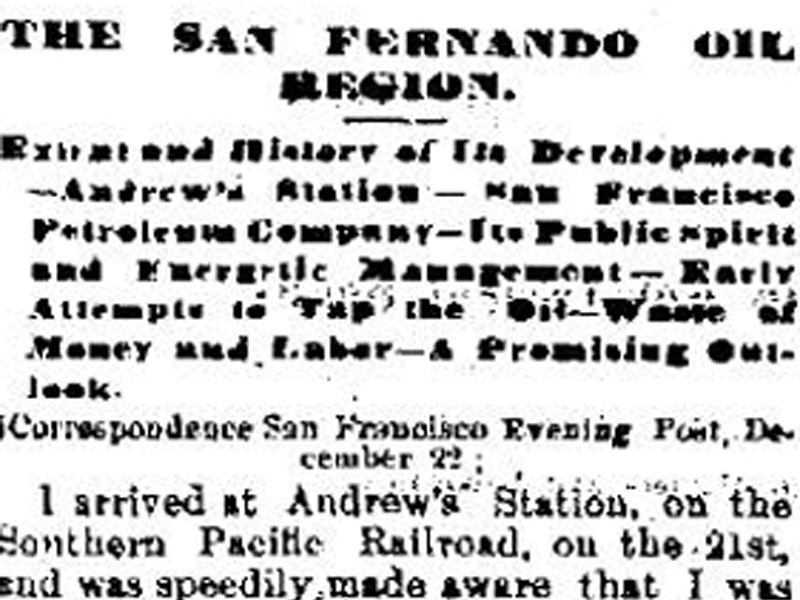 San Francisco Petroleum had a nominal capital of $10,000,000. 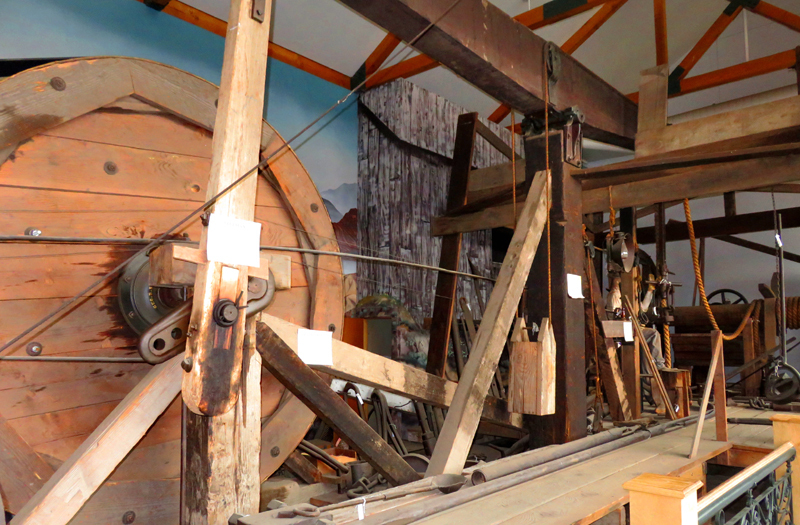 ... McPerson's rig, consisting of two sets of boring tools weighing about 2,000 pounds each, fishing tools to lift the boring tools in the case of accident, and a 15-horsepower Farrar & Trefts engine, was by far the finest Californians had yet seen. 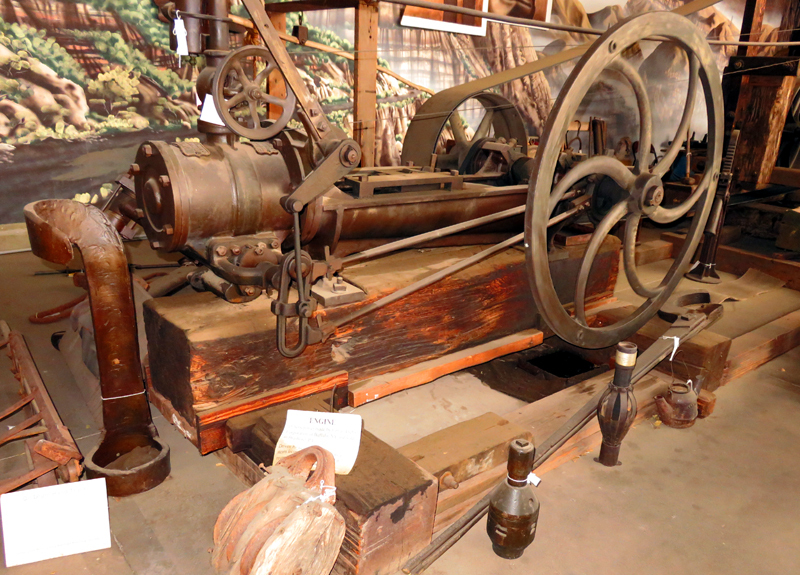 He put it to work early in 1876 on the heights a scant half-mile east of Pico Springs. Antother thing McPherson did when he traveled back East to pick up the equipment was to recruit the veteran Titusville refiner John A. Scott to come out and whip (what we now call) the Pioneer Oil Refinery into shape and ultimately expand it and move it over to Pine Street from today's Eternal Valley Cemetery. 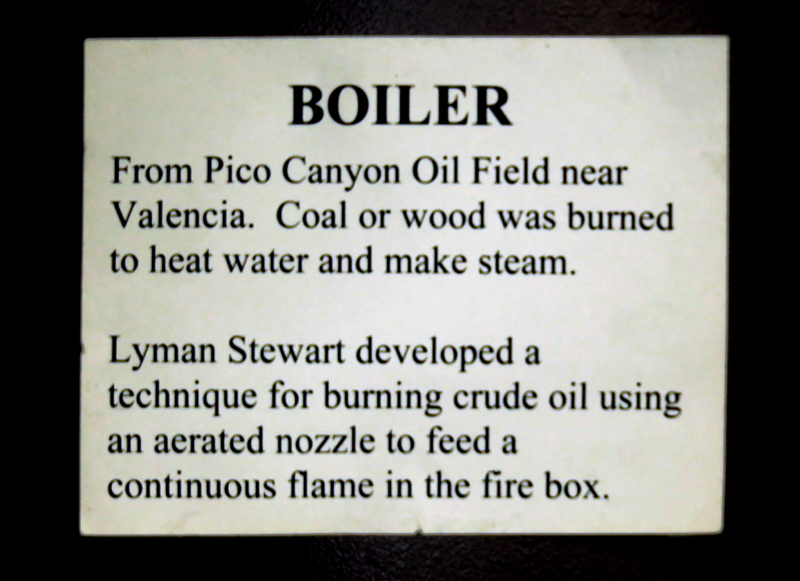 Wayne Wilson, a Southern California native who had a lifelong association with the oil industry, was instrumental in the restoration of the California Oil Museum's turn-of-the-century rig boiler. 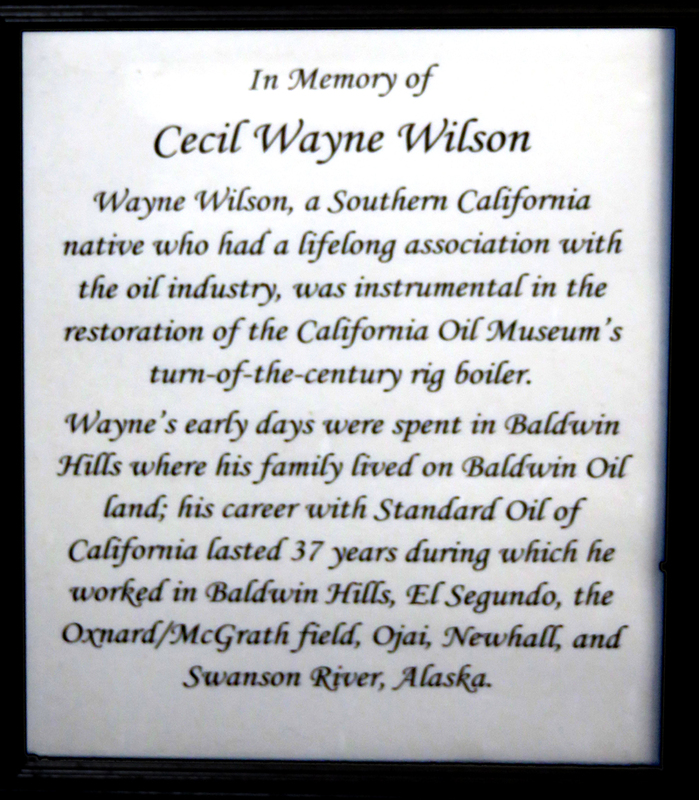 Wayne's early days were spent in Baldwin Hills where his family lived on Baldwin Oil land; his career with Standard Oil of California lasted 37 years during which he worked in Baldwin Hills, El Segundo, the Oxnard/McGrath field, Ojai, Newhall, and Swanson River, Alaska. Away back in the sixties [1860s] two men, C.M. 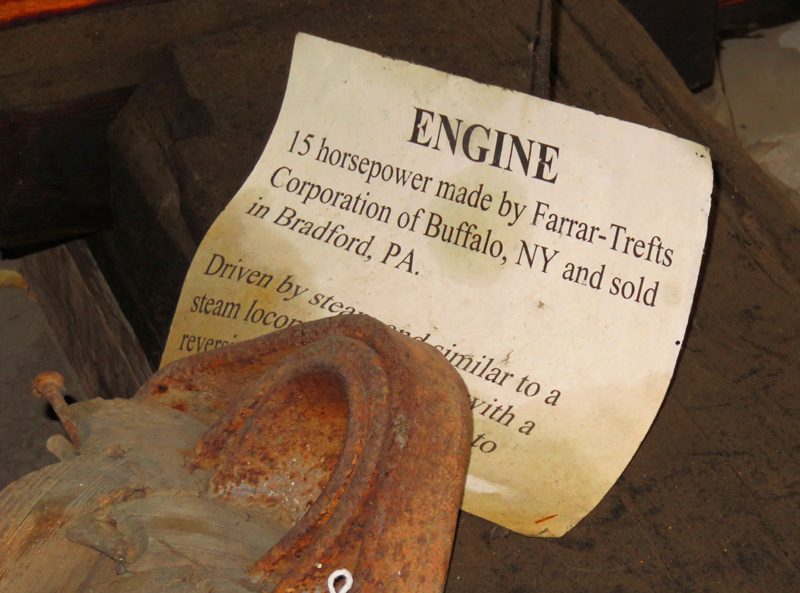 Farrar and John Trefts, commenced to build engines in a little seven-up shop on Perry street, Buffalo. They hadn't much capital, but they had lots of brains and sand. 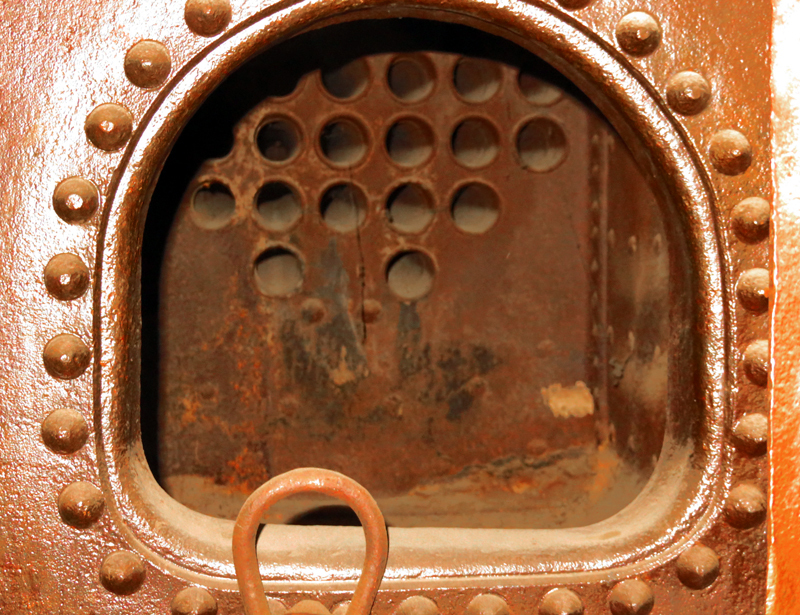 They foresaw the future greatness of the oil business and so set out to build an oil engine that would drill a well to the bottom without breaking down; that would use less fuel than any then in use; that would be simple and would last a quarter of a century with reasonable care — they accomplished all this. But do not let the gentle reader imagine for a moment that it was done in a night. It took months and years of thought and experiment. 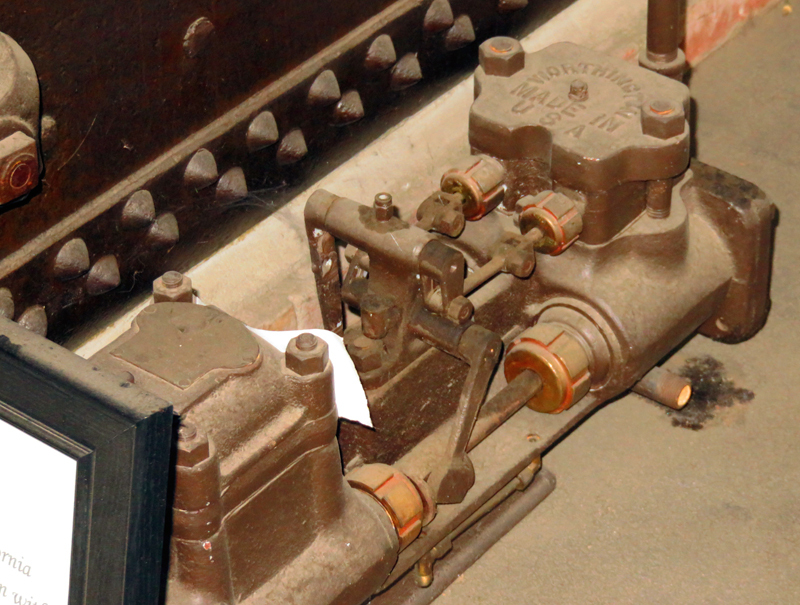 They were confronted by many difficulties, but these troubles gave way when met by at least a dozen of inventions in perfecting the machine, the crowning glory in this line being the now famous palm link, which at that time revolutionized the oil engine. C.M. 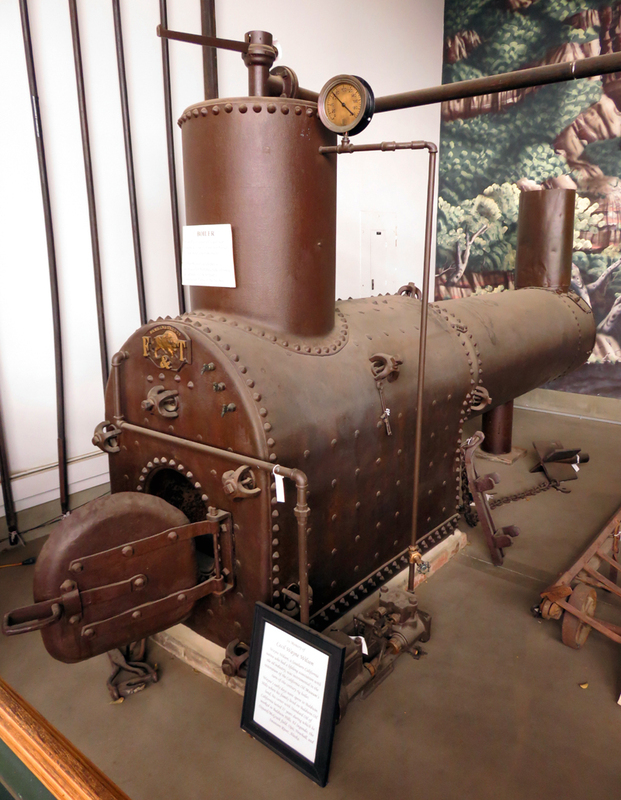 Farrar then invented the steam jacket, the steel pin cross head, compensating balance and the pig trough bed plate (don't laugh at its being called an invention for they all had to steal its idea before they could sell their copy). 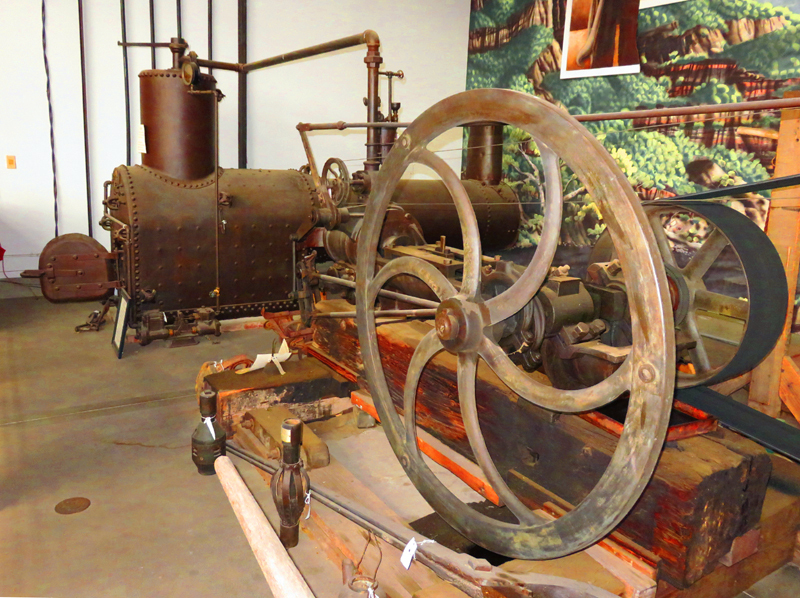 These inventions were then applied to our engine, thus making a marvel of simplicity, strength, quickness and durability. 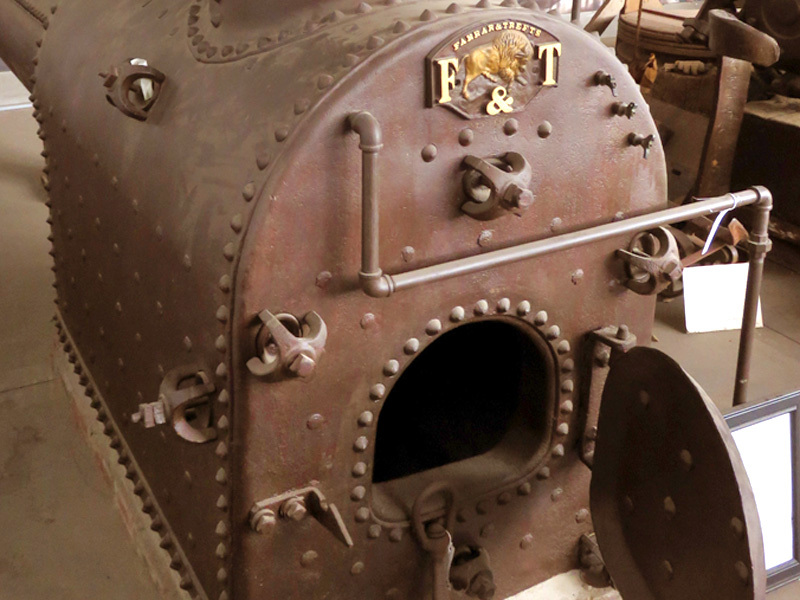 Farrar & Trefts in those days had no boiler shop, but they soon built one and have now brought it to such a state of perfection that they can built any kind of a boiler that is produced either in Europe or America. 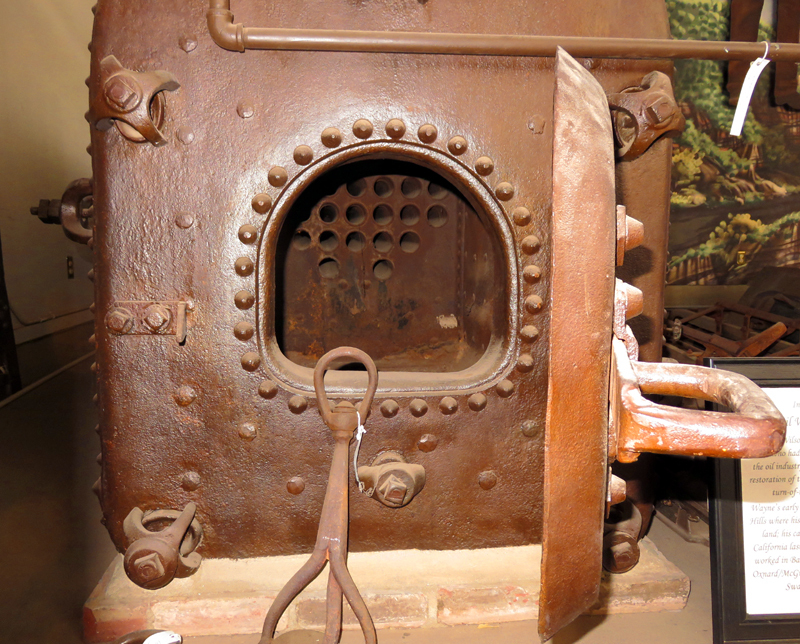 It does not take a great deal of invention or ingenuity to build a boiler, but it does require lots of principle to build an honest one, as there is no manufactured article on which a purchaser can be so completely cheated as a steam boiler. 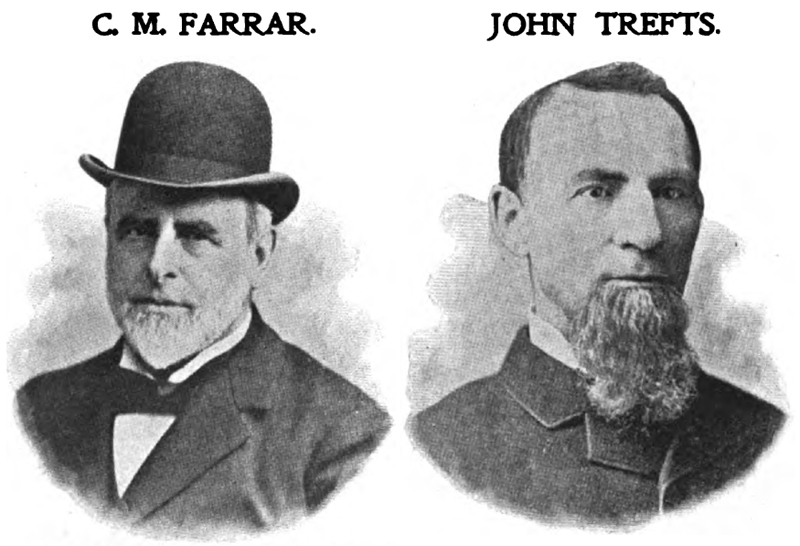 The buyer has to depend solely on the reputation of the builder, and with this general warning we will proceed to say that Farrar & Trefts have been rewarded by the producer for their labor and enterprise. 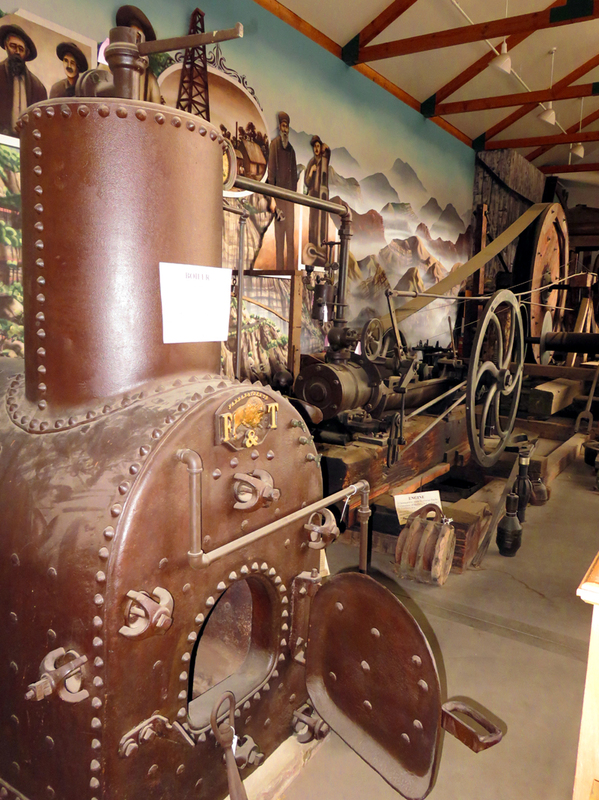 All the way down from Pithole to Whisky run, they have sold stacks of them in every field yet opened, having built, sold and delivered the enormous total of 25,000 engines and boilers up to date — just think of it! Enough to make a ferriferous fringe for one of our States if the different pieces were laid out edge to edge on the landscape. 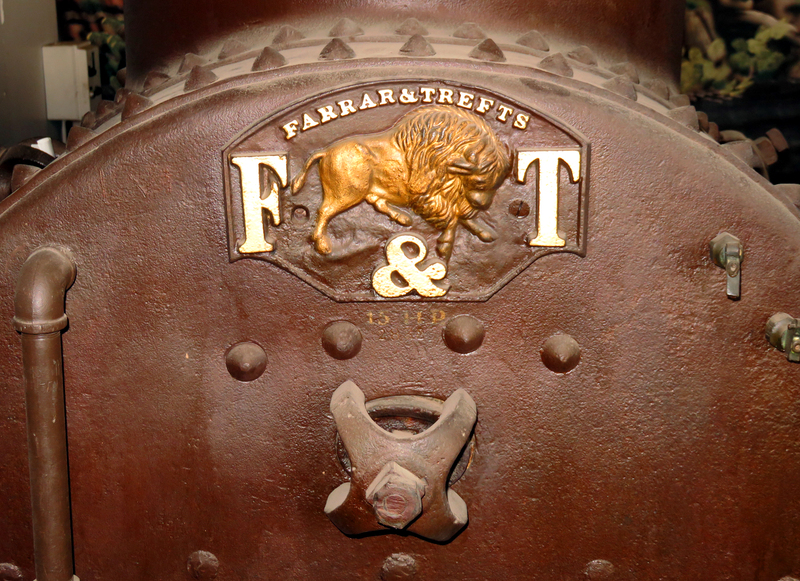 Farrar & Treft's Machinery is the most widely known, is the most popular, has the largest sale, has given the best satisfaction, is the more durable, is the most economical, has the speed record for twenty years, has smothered all competitors as fast as born, is always tuned up to concert pitch, is the easiest to sell at second hand, has the right of way in every oil field on the globe, has never lost a friend who gave it a fair trial, has outgrown everything in sight; it took some blowing to start it, it makes its own draught now; those who buy it, make a good investment; those who don't, make a mistake. 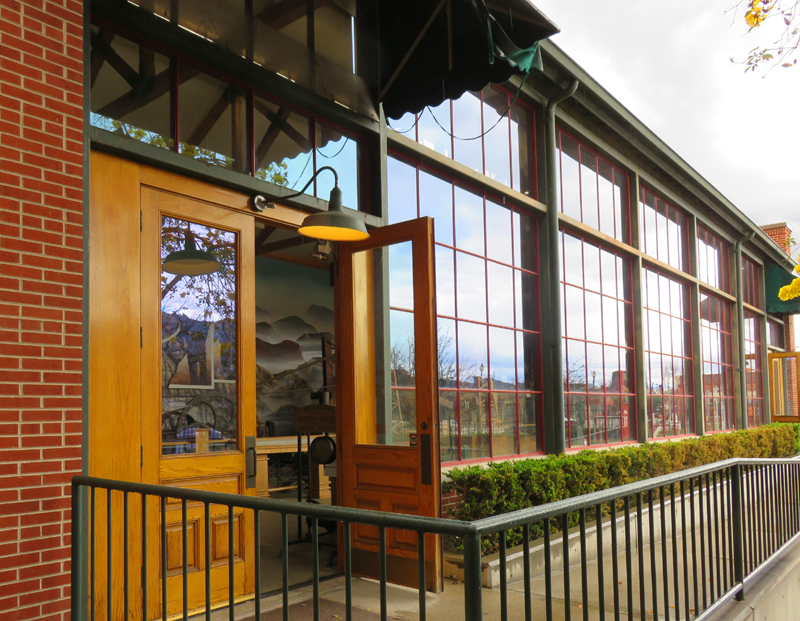 19200 dpi jpegs from digital images (photographs) March 1, 2015, by Leon Worden.